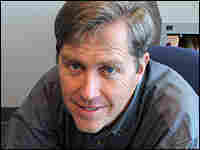 Jeff Hawkins created the PalmPilot and Treo smart phone. His new company, Numenta, is developing a type of computer memory system modeled after the human neocortex, what he calls the "the big wrinkly thing" at the top of the brain. He's also the co-author of the book On Intelligence, which details his vision of how the brain processes information.